Female Flamethrower. 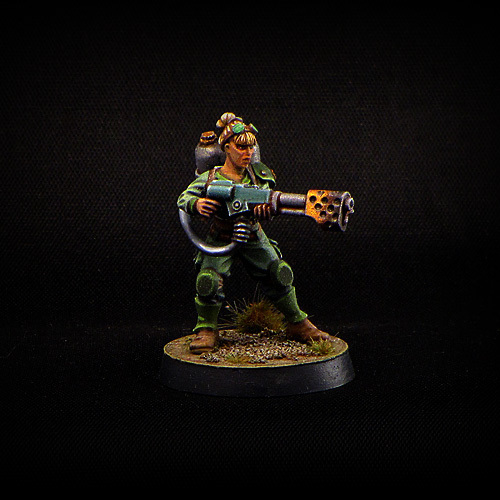 This 28 mm miniature depicts military woman armed with flamer. Good model for playing sci-fi wargames or for collectors. Resin casting. Unpainted, unassembled. Designed and produced by Brother Vinni.